The Board of Supervisors is the main legislative body for the County of Orange and is comprised of five members who are elected by the voters of Orange County and serve four-year staggered terms. The Board elects its Chairman and Vice Chairman at an annual organizational meeting in January. Board of Supervisors meetings are conducted on the second and fourth Tuesday of each month beginning at 5:00 p.m., with all public hearings beginning at 7:00 p.m., unless otherwise advertised. All meetings are held in the Board of Supervisors Meeting Room located in the basement of the Gordon Building, 112 West Main Street, Orange, Virginia, unless otherwise noted. View the 2019 Meeting Schedule. 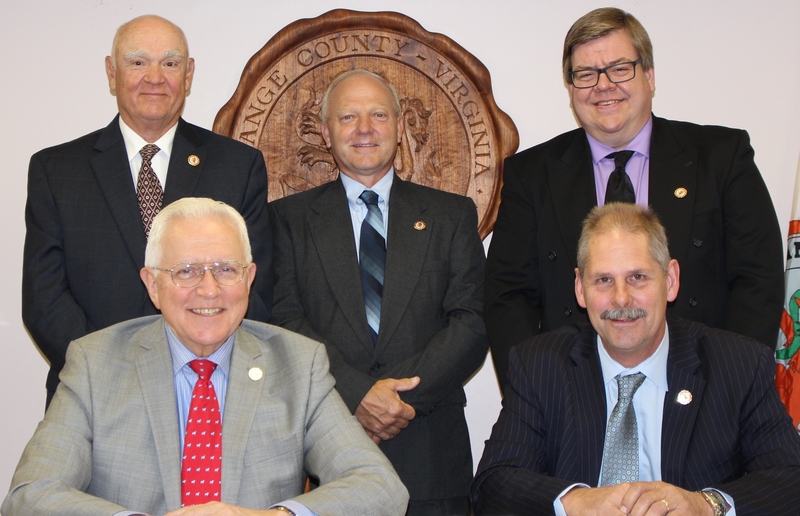 The Board of Supervisors sets county policies, adopts ordinances, appropriates funds, approves land rezoning and special exceptions to the zoning ordinance, and carries out other responsibilities as set forth by the Orange County Code of Ordinances and the Commonwealth of Virginia State Code. View the Board of Supervisors Bylaws.